A new era will begin for McLaren in March, with the launch of its new second generation Super Series range. Set to be revealed at the 87th Geneva International Motor Show, the first of the 15 new cars will be built around a ‘Monocage II’ and follow the British company’s Track22 Business Plan, which sees the first replacement of a product range by McLaren. The new Super Series is created around an ultra-lightweight, carbon fibre central structure. 'Immensely rigid', yet weighing less than the carbon fibre and metal cockpit architecture of the first-generation Super Series, the Monocage II contributes to a lightest dry weight of 1,283kg for the new car – lower than the closest competitor and 18kg lighter than a McLaren 650S with comparable specification. McLaren says the development of Monocage II has allowed the sports car manufacturer to incorporate a wider cabin entrance and lower sill to improve access into a driver environment that will offer ‘excellent all-round visibility’. The new chassis structure also enables a lower centre of gravity, further sharpening the dynamic performance of forthcoming Super Series models. Owners wishing to showcase the carbon-fibre construction chassis can specify a ‘Visible Monocage’ option that exposes the material on the inside area of the A-pillar. The Super Series lineage began in 2011 with the launch of the 12C. The 12C Spider followed in 2012 and in 2014 McLaren introduced the 650S Coupé and 650S Spider. 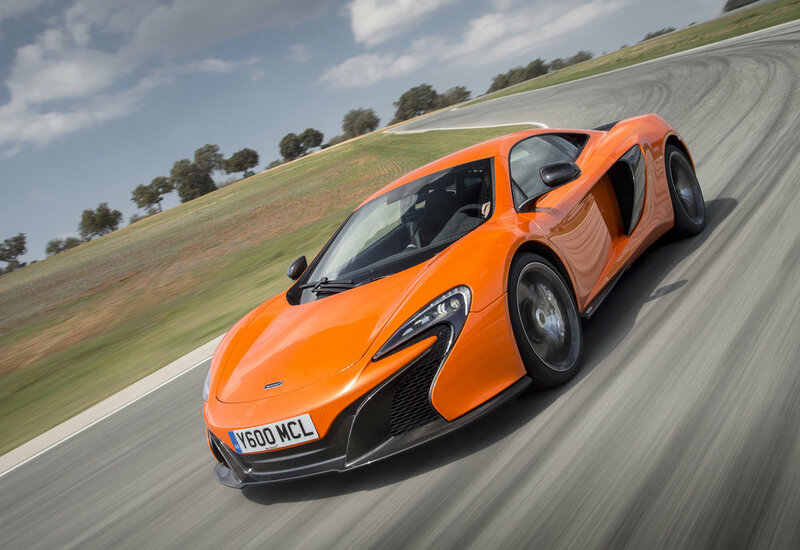 The first generation of the McLaren Super Series was further expanded in 2015 with the launch of the limited edition 675LT Coupé and 675LT Spider. Full details of the new, second-generation Super Series will be confirmed in March, when further images and pricing will also be available.